Rocky Mountain goat, Bighorn Sheep, Rocky Mountain Elk, Black Bear, Shiras Moose, Mule Deer, and Whitetail Deer. Indigenous predators include Mountain lion, Bobcat, Coyote and Wolf. In Kootenai Country, we are serious about our hunting as it is a way of life. During a rough winter, the meat one harvests from deer or elk can sustain a family for a year or more if successful. Of special interest to hunters may be the special permit hunts for moose, bighorn sheep or mountain goat. There are many sources available in Northwest Montana to help plan a hunt including local outfitters, guides, and the Kootenai National Forest website. Local sporting goods stores can be a wealth of information also. It helps to know how to read topographical and road maps. Make sure to sight in the weapon of choice before heading to the field. Be prepared, be safe, and go explore the unbelievable wealth of harvest opportunities for game, fur, waterfowl and gamebirds available in this neck of the woods! Always check the updated regulations for Region One at the Montana Fish, Wildlife and Parks (FWP), visit the office at 490 N. Meridian Road, Kalispell, Montana 59901 or call (406) 752-5501. The folks at the office in Kalispell are always real helpful, friendly and polite. Here is a general summary of approximate seasonal openings for each type of hunting that will give you an idea of the enormity of choices available to Kootenai Country hunters and trappers. Remember that the dates change slightly each year, so make sure you know before you go! 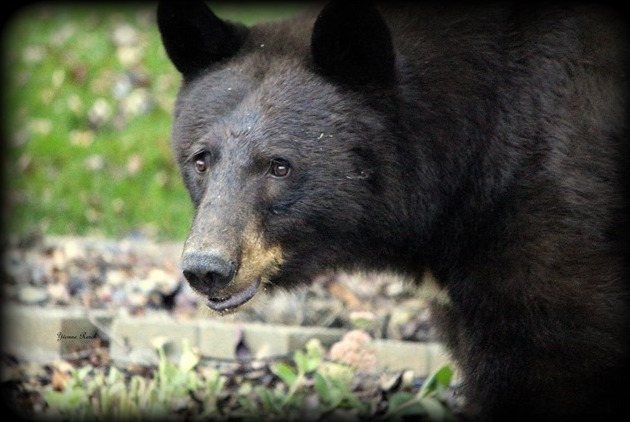 In spring, head out loaded for black bear around mid-April. Archery for black bear opens up in the fall near the beginning of September and rifle season about mid-month. Antelope begins on the east side of the continental divide the beginning of September for archery and early October for rifle season. Bighorn sheep hunting (special permit only) starts early September for archery and early October for long guns. If you are lucky enough to get a mountain goat permit, you can pursue this elusive mountain sentinel from mid-September until the end of November. Bison by permit hunts open around mid-November and go to mid-February. Deer and elk begin in early September for archery. The third week of October rifle season starts and runs to the end of November. Always check for special youth hunts, too! Some shoulder season elk hunts may be available also, which can extend the season either before or after the regularly scheduled hunts. Mountain lion hunts begin for archers around early September and there is a no dog season as well. Check the regulations for wolf hunting and trapping seasons, as these seasons can vary dependent upon several factors. Fisher and marten trapping opens up early December and runs to mid-February. There are many district regulations and quotas, so make sure you have it right. Trapping is one of the most challenging outdoor pursuits, and you want to make sure you have the regulations correct. Otter, mink and muskrat open roughly early November and continue to mid-April. As a wing shooter, Upland bird hunting offers a multitude of choices. Turkey runs from early April to mid-May, and a second season begins in September and runs until the end of December. We have some big gobblers out this way! Mountain grouse hunting for ruffed, Franklin’s, or blue grouse starts early September and runs to the beginning of January. Partridge season runs parallel with grouse. Pheasant goes from early October to early January. The mourning dove season begins at the start of September and wraps up around the end of October. Hunters looking to bag a snipe or two can head out early September and have until mid- December to score those elusive birds. They are surely a tough target and a wing shooter’s challenge! Sandhill cranes are to be decided. Tundra swans fit in the same category as of this writing. Kootenai Country is a duck factory and there are a plethora of waterfowl areas to hunt. Duck season generally runs from early October to the end of December, carefully check the regulations as there are a myriad of species of ducks in Kootenai Country! Canadian geese season usually runs with duck season as per district. A short falconry season is still ongoing in Montana. It usually begins in early October with various ending times, depending upon the hunting area. The varmint hunting is diverse. Camouflage, calls and lightweight bullets with a lot of powder produce great results. Predators such as coyote, weasel, striped skunk, porcupine and spotted skunk are not regulated by state or federal laws and may be taken all year round. The relative solitude of Kootenai Country Montana is one of the most impressive benefits to any hunt. There is always a chance for incidental sightings of non-target species. The chance to glimpse these creatures in their native habitat can be one of the most breathtaking and memorable moments you could hope for! In the high country Alpine zones, you might see a wolverine loping across an avalanche chute after a Pika. Mid-elevation timbered zones may provide the attentive observer with a scene of a mountain lion chasing down a mule deer. Lower elevation valley wetland habitats can potentially offer the solitude seeking hunter with the sight of a Great Horned Owl swooping down on a field mouse, a Bobcat stalking wetland edges or an otter family rolling, playing and catching fish. The best part of this is you rarely see another person while you are immersed in the solitude of Kootenai Country. This unique, undisturbed serenity together with the spectacular beauty and remoteness can provide you with an unforgettable glimpse of the beginning of time.